After leaving home, low back pain gradually became part of my daily routine. “Maybe it will just go away” became a regular saying for me in regards to my back pain. I finally got off the couch and scheduled an appointment with a new chiropractor, within 1 week I felt better than I had in months. “I can’t believe that I waited this long” is all I kept thinking about after experiencing low back pain relief from chiropractic care. I had grown up with regular chiropractic care, but this was the first time in my life that I really appreciated how much it helped me. That is when I decided I wanted to become a chiropractor. Dr. Eric received his Bachelor’s of Science Degree in Kinesiology (the science of human movement) from Washington State University in 2000. After than, Eric became a certified personal trainer, helping create individualized exercise programs and educating his clients on the do’s and don’ts of exercise. “Having a background in human anatomy and exercise principles created a strong attraction toward the chiropractic profession” says Dr. Eric. 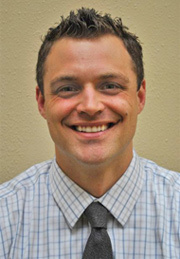 Dr. Eric was accepted to Life Chiropractic College West in Northern California in August of 2004. The four year program included a major emphasis on anatomy and physiology, biochemistry, X-Ray, diagnosis, nutrition, adjusting techniques and patient care in the Life West Chiropractic Clinic. Our office provides chiropractic care based on patient preferences and can be used in combination with massage therapy and exercise instructions performed in office. “We love to educate” says Dr. Eric. Explaining to people why they feel the way they do often helps give them hope. Patients will visit our office after visiting other various health care providers and thank us for helping them understand what other doctors failed to explain. “And that is before we have helped them feel better” says Dr. Eric. Health is an ongoing process, much like the rest of life. But health is not just a measurement of your waistline or your blood pressure. Health includes all areas of our life; physical, emotional, spiritual, psychological, social, and financial well being just to name a few. We should all be proactive in our lives. Eating good, exercising regularly, spending quality time with loved ones, and taking care of our body are just a few of the things in life that should matter the most to us. Dr. Eric has four beautiful children. The entire family receives regular chiropractic and the kids absolutely love to get adjusted. (If you have children and would like them to receive chiropractic care, let us help put your mind at ease.) Thank you for the taking the time to visit our site. We wish you the best of health and we want to help you achieve your greatest health potential. If you have any questions or would like to schedule an appointment, feel free to give our Port Orchard office a call or send us an email.